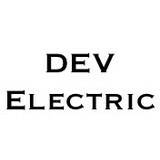 DEV Electric exists to provide the best service and attitude at every project at every site. We strive to create finished projects that have a lasting, positive effect for our clients. Call us for your next project today! 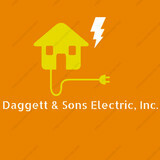 Based out of Brentwood, Daggett & Sons Electric is an electrical contractor. They offer wiring replacement, lighting design, sub-panel installation, and electrical troubleshooting. They are insured and bonded. 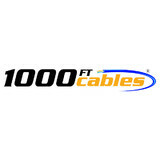 We are providing high quality and cost Effective networking solutions since 1994 and during this journey, we have managed to acquire a huge amount of trust and appreciation from the majority of our customers across the US who showed a great amount of confidence to buy high-quality products from us. All of our products comes with a lifetime warranty so that your purchases with us are protected for the long haul. Electrician servicing the Santa Rosa area! 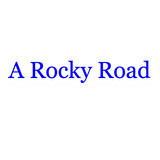 Mister Sparky offer exceptional electrical repair and service throughout the Sonoma, Marin, Napa and Solano counties. At Mister Sparky, we offer a wide selection of electrical services to choose from. We believe that you deserve the convenience of an excellent electrical system, and we are confident that our Santa Rosa, CA electricians can make that happen. 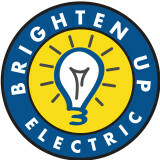 Whatever electrical services you may need, we are the company you can count on to get the job done right. Burwell Electric prides itself on being the go-to choice for clients looking for Panel Changes, Residential Electrician and Commercial Electrician services. Our business is our livelihood but it is also so much more. Burwell Electric was started to fill in a void in the current market and to make a business that people can place their trust in. Over the years we have never lost our commitment to our clients and that is what has allowed us to succeed in a very competitive industry. The employees of Burwell Electric stand committed to our purpose and will provide the best service! Providing the best in Electrical services for the Santa Rosa and surrounding areas. Contact us today for an estimate! Combining years of experience with a dedication to client satisfaction, Carl Miller Electric has established itself as the local leader in Home Lighting , Residential Electric Repair and New Construction Electrician. AHA! Electric is a family owned and operated full-service electrical contractor offering residential and commercial electrical services in the North Bay Area. Do you have electrical problems? Lights flickering on and off my themselves? Aha! Electric is equipped with licensed and insured electrical contractors who will help you troubleshoot or complete electrical contracting projects in a timely and professional manner. Our broad range of services incudes: rewiring, panel replacements and upgrades, recessed lighting installation, ceiling fan installation, outdoor/security lighting, GFI installation and service, knob and tube wiring replacement, aluminum rewiring replacement, general troubleshooting, and electrical fire safetey. All services come with free estimates. Best of all, we specialize in prompt 24-hour emergency service! We do anything related to electricity, from a door bell to an installation of an electrical panel: * We do light fixtures installation and wiring installation. * We do rewiring of old ungrounded houses and troubleshoot any problem. * We do electric Panel upgrades, LED upgrades and receptacle and switches upgrades. * We install 3 ways and 4 ways and multiple location switches or dimmers. * We install ceiling fans and attic fans. * We install security camera systems. * We install water heaters gas or electric. * We also work with three phase voltage I always tell my clients to go for the LED technology instead of using fluerescent light bulbs, which contain toxic material like mercury. I tell them to avoid incandescent lighting, which waste energy with unnecessary heat and they don't last much. I do what they thought me at school and I always do the right thing, always following the National Electrical Code and OSHA regulations, which I'm certified for. ¡Hablamos español! With over a decade of service, Gentec Services Inc. is the Bay Area's most trusted electrician & HVAC services provider. Thanks to our team's rare combination of technical expertise, craftmanship, and superior customer service, you'll find our Livermore based technicians helping customers throughout the Bay Area. We are well equipped to serve residential and commercial customers alike with a full range of services, from quick electrical repairs to large scale installations, which is why you can never go wrong with Gentec.